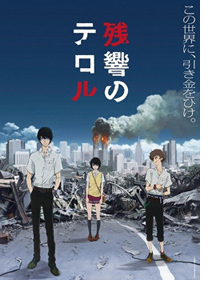 Told in the same style as many western crime dramas (Watanabe says he was inspired by Sherlock and 24), Terror in Resonance tails two teenagers who are behind a terrorist attack in Japan. Their methods are clear, their goals anything but. 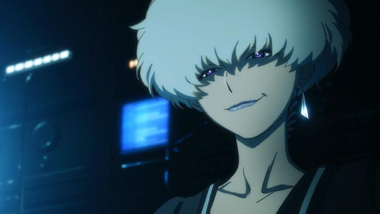 Nine and Twelve (as they refer to themselves) are exceedingly intelligent young men who enjoy toying with the Japanese police throughout their campaign. Not everything always goes according to their meticulous plans, though, such as when they encounter Lisa. 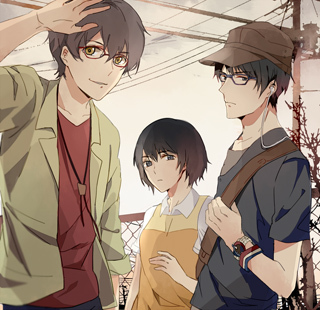 The estranged runaway first encounters them at school, then moves in with them despite Nine's protests. Her role in this game is yet to be explicitly revealed, but she is clearly watching and learning from the sidelines. Her shy nature hides a clear desire to find love and belonging, but will she really find it among two terrorists? 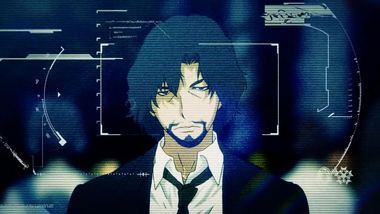 More engaging than the lead trio is Shibazaki, a detective returning to solve the terrorists' riddles, and Five, a mysterious woman from Nine and Twelve's past who's now working with the FBI. Her games of cat-and-mouse with the lead duo are the most exciting scenes of the show so far, while Shibazaki makes an excellent questioner in place of the audience. 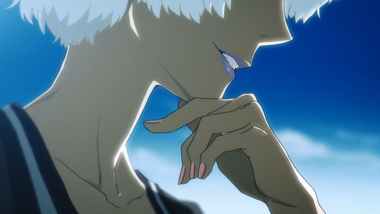 The direction for the show is probably its most outstanding quality. 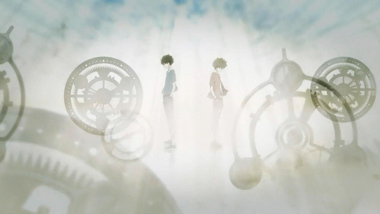 From unique angles to just plain great storyboarding, you can feel the energy and pulsing heart of Resonance throughout. The action feels tense, and smart pacing creates the suspense you need for a show like this. 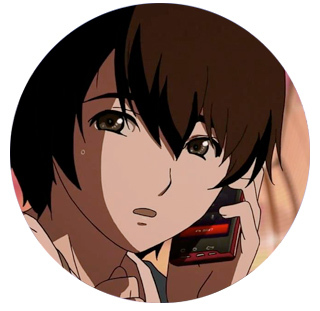 In addition, MAPPA performs admiriably well in the animation department, often adding little touches here and there to add liveliness to the world. Viewers may notice some small dips in the production here and there, but they are thankfully few and far between. 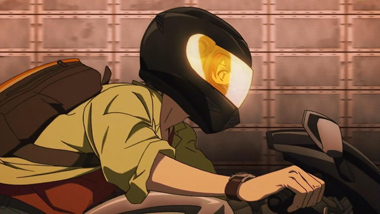 You can't talk about this show without mentioning Yoko Kanno's excellent soundtrack. It's perfectly attuned to the vibe of Resonance, featuring extremes from shrill electric guitars to choir-like voices backed by a sparkling piano. It might be this writer's favorite element from the entire production, especially when taken on its own. In concert with the show, it enhances dramatic moments in exactly the way a good soundtrack should. The script does a solid job of holding everything together. However, despite dealing with terrorism, no one has yet died in the show, making the stakes feel a little less real. 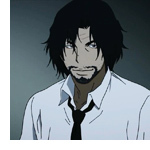 Occasionally it dips into the realm of "anime writing," in which everything needs to be over-explained. 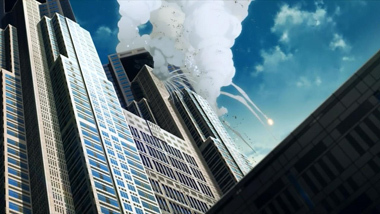 Whenever it commits to subtlety, it works, but every so often Resonance decides to go a step or two further and really hammer its point home (for instance, when Shibazaki alludes to Hiroshima and his boss then replies "Oh yes, nuclear weapons! Hiroshima!"). Thankfully, these moments are brief in the overall scheme. 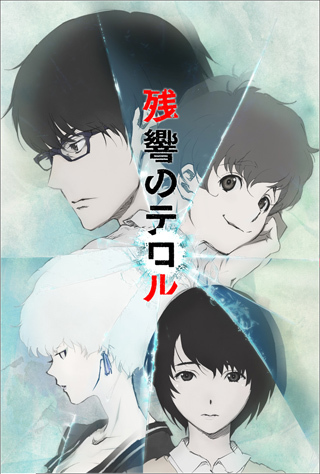 Terror in Resonance is doing a lot of exciting things, the greatest of which is its unique story amongst even Noitamina shows. That, in conjunction with a stellar soundtrack and high-quality production crew, makes this a standout for the season. 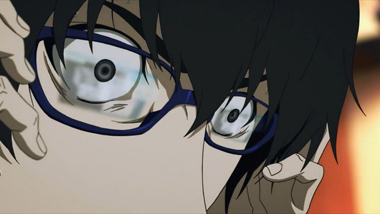 Despite some missteps, the overwhelming feeling of suspense after each episode leaves you aching for the next one. 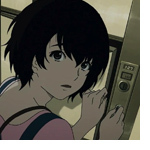 Watanabe has started another fantastic series -- we can't wait to see how it ends. 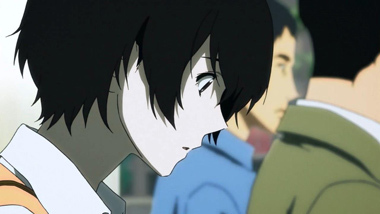 Terror in Resonance can be watched via FUNimation. 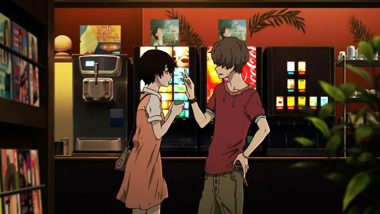 Below: Scenes from Terror in Resonance. 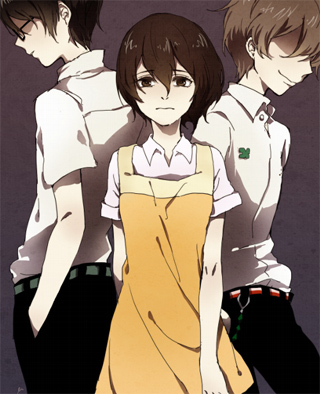 Below: Promotional illustrations for Terror in Resonance.